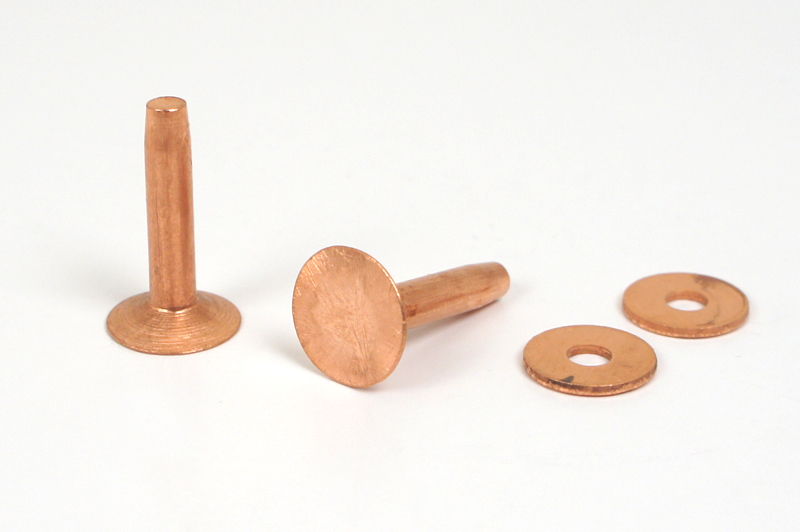 As this copper rivet has a solid shaft without hollow space, it is very tough and resistant to corrosion. Put a burr washer on the shaft, and swage with the dedicated installation tool. Then, adjust the length of shaft with nippers. Round Hole Punch #12 makes a hole in the applicable size. See details of usage in Craftip. Installed with the Copper Rivet Setter. Installed with the Copper Rivet Setter & Hammer.